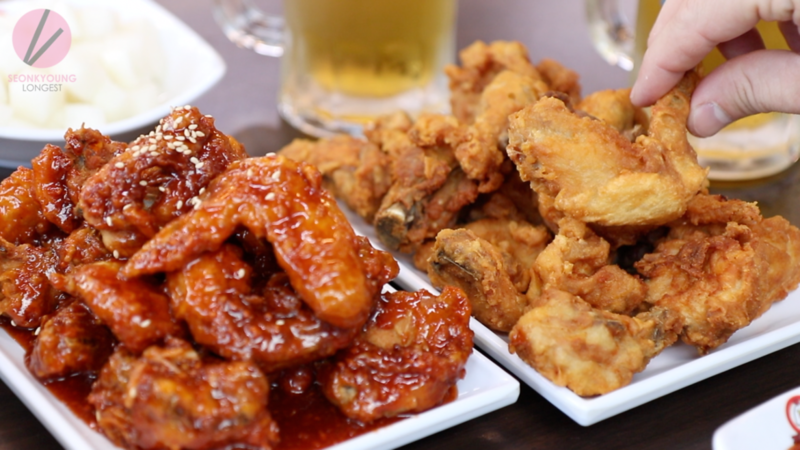 Home Life in Korea	Legendary Korean Fried Chicken!! About 1 hour away to south from Seoul, there is a city called “Suwon”. Suwon is the capital of Gyeonggi Province, in northwestern South Korea. 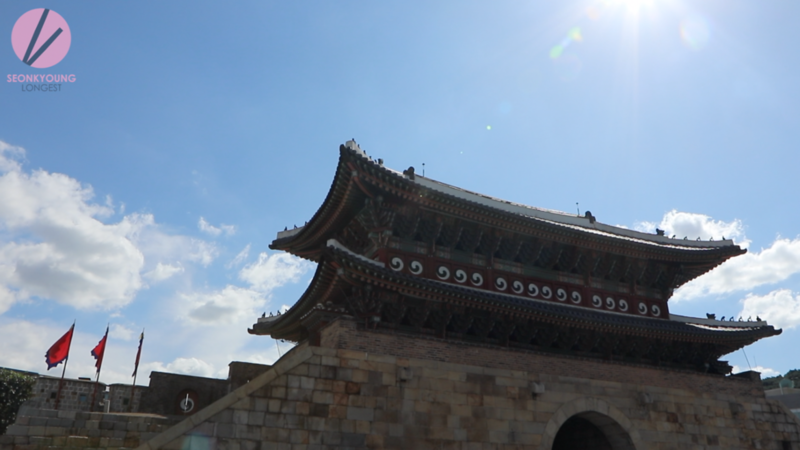 It’s known for the late-18th-century Hwaseong Fortress, with its commanding stone wall and 4 pagoda-topped arched gates. Near Hwahongmun Gate, Hwaseong Haenggung Palace has a traditional banquet hall. 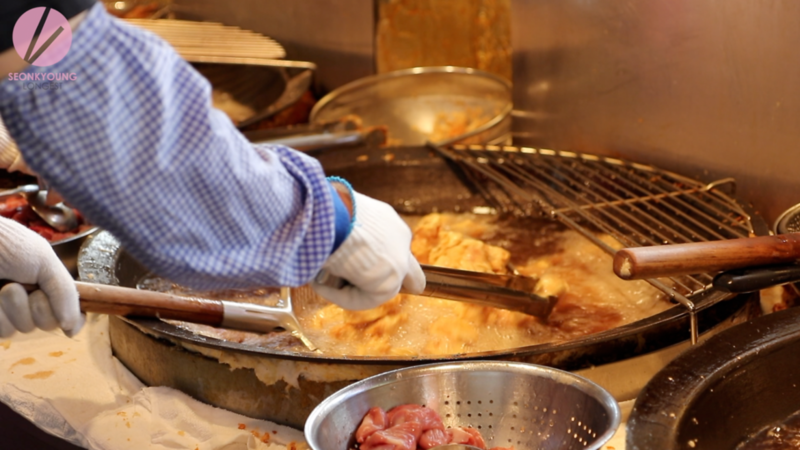 Suwon is known for their original galbi (korean marinated rib BBQ) and fried chicken. 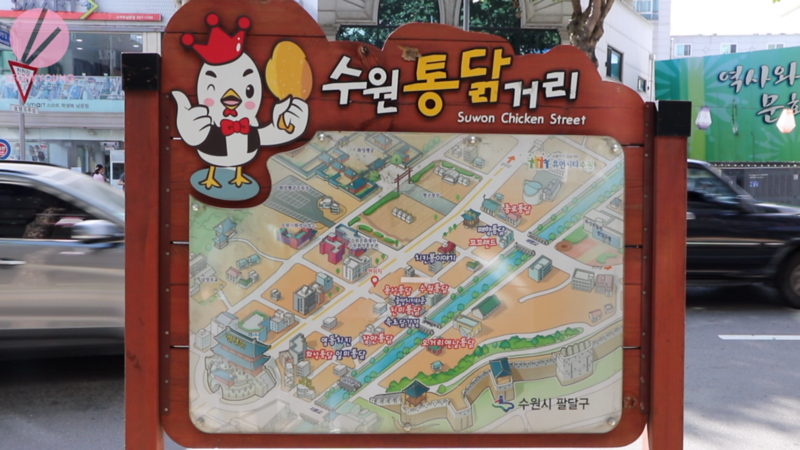 There is a “Chicken Street” in Suwon, where a ton of chicken restaurants selling their proud old fashioned Korean fried chicken. 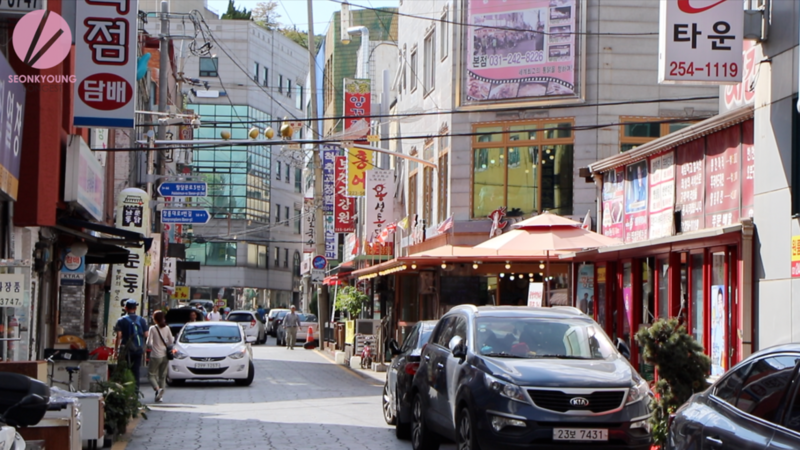 Here is the Top 2 places in “Chicken Street” in Suwon! First, let’s taste Yong Seong Tongdak! 🤓FYI: “Tongdak” means “Chicken” in Korean. This restaurant is not original one in this chicken street, but when they showed up, the fried chicken street’s game has changed. They got popular and bigger so fast only by the taste of the fried chicken. When you order “1” fried chicken, you will surprise 2 times when the food arrives. One, because they will give you fried chicken feet & gizzard as service. For the price, it is a huge amount of food!!! As all of the chicken restaurant in this street, they also frying chicken in Gamasot, Korean’s traditional big heavy cast iron pot. Cooking in gamasot is a longstanding custom in Korea, that began at least during the reign of King Daemusin (18‒44 CE) in Goguryeo. They have 6 of the gamasot, and non stop frying the chicken!! The oil’s changed everyday, you can definitely taste the freshness!! We ADORED the crispiest fried chicken we’ve ever had!! It was almost like a cracker crunch! 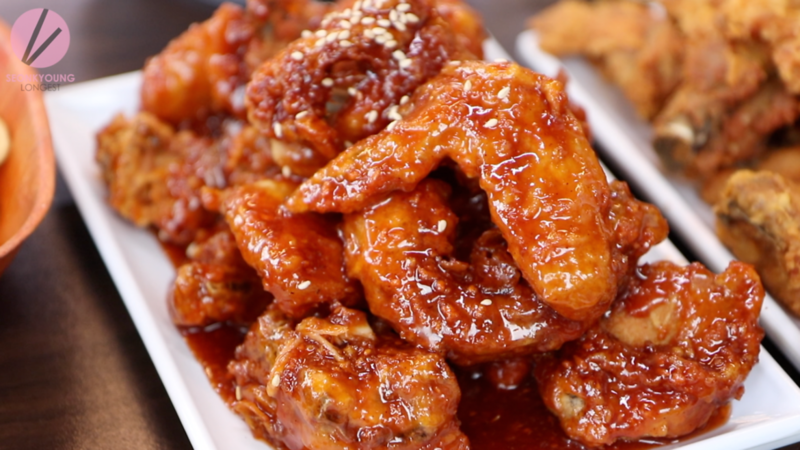 Their red sweet & spicy sauce, the traditional Korean fried chicken sauce was also on point! It was flavorful and spicy! 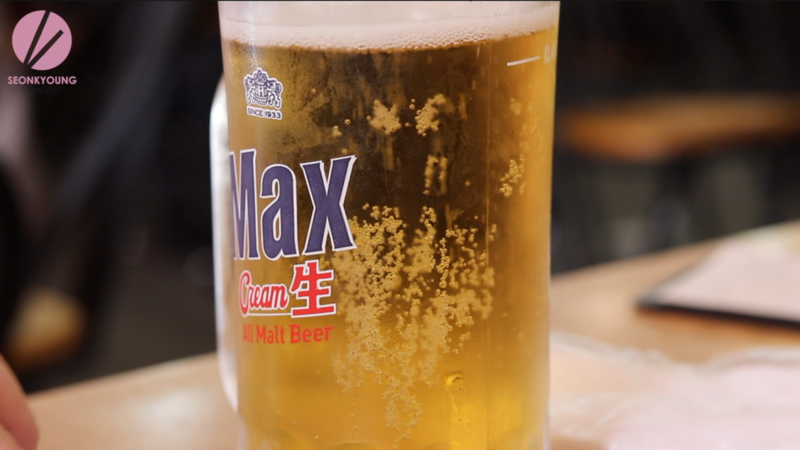 In Korea, there is a word “Chi-maek“, it’s a compound word formed from Chicken and Maekju, the Korean word for “beer”. 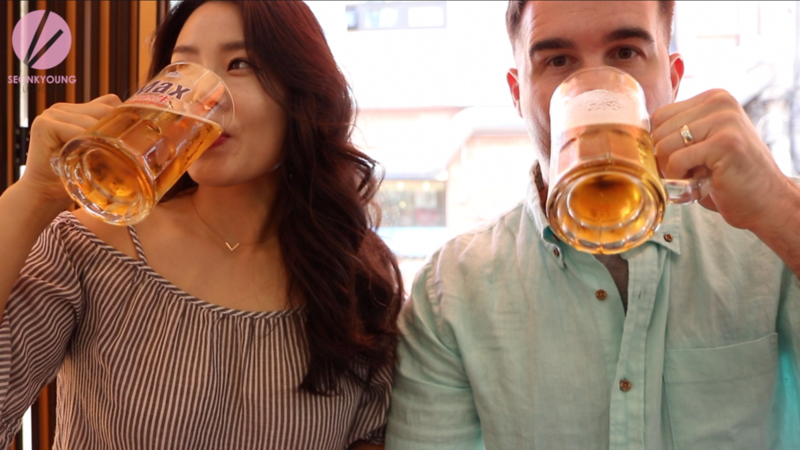 If you’re over 21 years old, feel free to enjoy chimaek in Korea! Cheers! Now, let’s go to the original fried chicken restaurant! Jin Mi Tongdak! 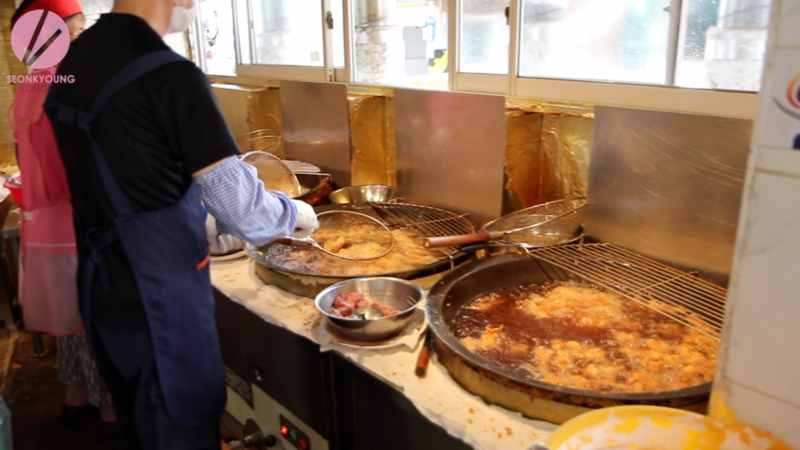 Jin Mi is consider as #1 original fried chicken restaurant in this chicken street! The building used to be in a different location(same street) but the owner of the building wanted them to leave. So they got a new location (same street), and renew the whole entire restaurant! Here, we ordered half & half. By the way, this chicken street must have a “restaurant community” because all their prices were exactly SAME! Also when you order half & half, there is 1000 won extra charge. It’s less spicier than Yong Seong one, and more sweet and thick! 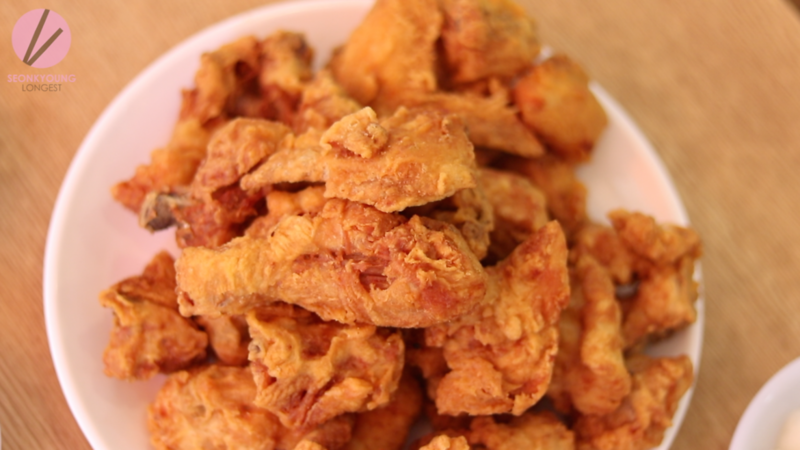 The chicken batter is crunch, but not as crunch as Yong Seong. Still nicely crunch though! Overall, broth places were AMAZING!! 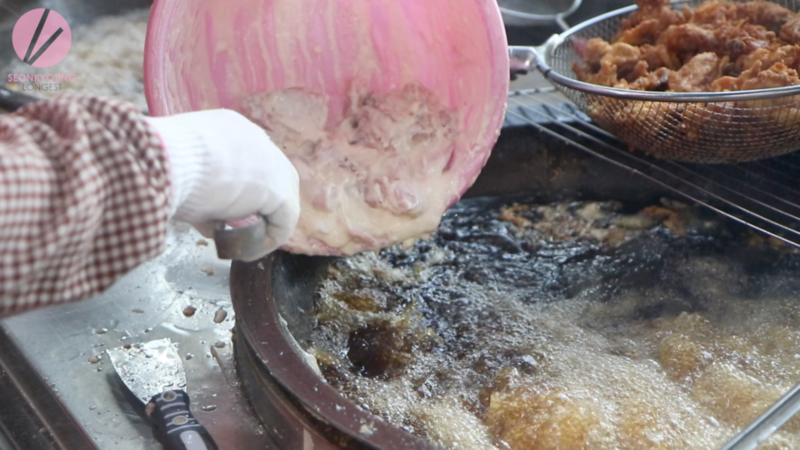 I personally think… if I go back there, I will go to Yong Seong Tongdak, because I loved the extreme crunchiness!! 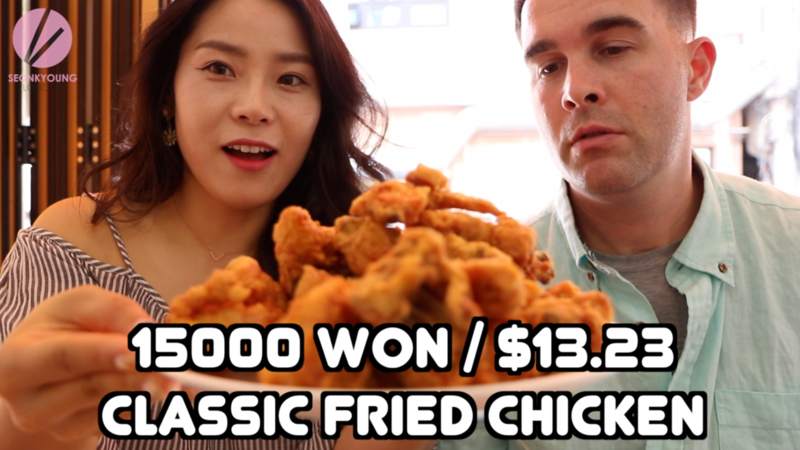 There are millions and millions of fried chicken restaurants in Korea and it’s almost impossible to find the legendary good one!!! 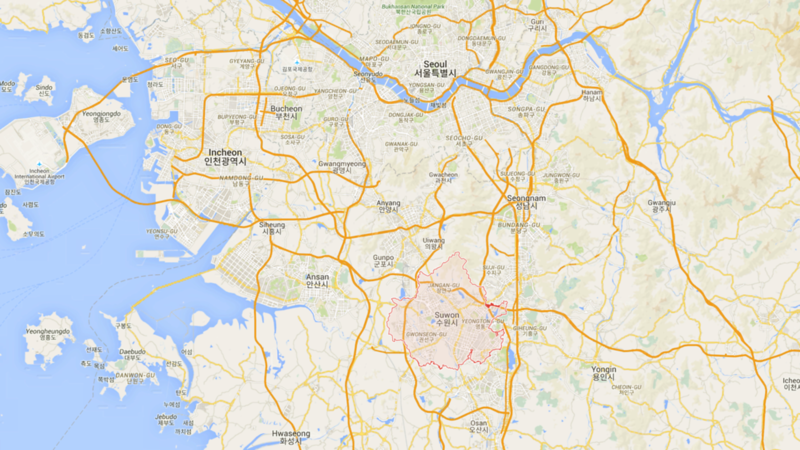 Suwon is about an hour away from Seoul, you can get there by bus or subway. Go to Suwon station (subway line 1), then take a taxi and tell the taxi driver “Chicken street”! It’s so famous, they will know! The taxi from Suwon station to the chicken street will be around $3, so definitely worth! !